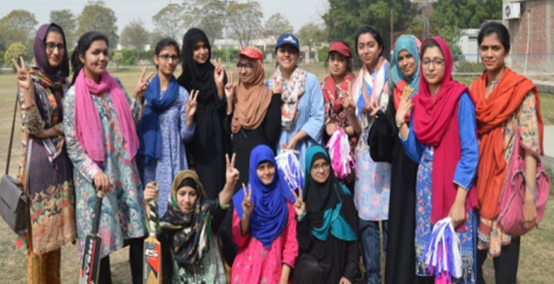 LAHORE: (February 21-22, 2018): Two days Sports Gala was organized at the Department of Microbiology and Molecular Genetics University of the Punjab, Lahore. The Chairperson Prof. Dr. Anjum Nasim Sabri inaugurated the ceremony and highlights the importance of co-curricular activities. In her address, she stressed upon the students to participate in sports as sports keep our mind and body fresh and healthy. She said that sports are also one of the best ways to learn different aspects of life. All faculty members, staff members and large number of students were present on the occasion. In this two days mega event, both indoor and outdoor games were played by the students like tug of war, badminton, table tennis, ludo, carom board, cricket, football, relay races, three legs races, sack race, book race, musical chair.